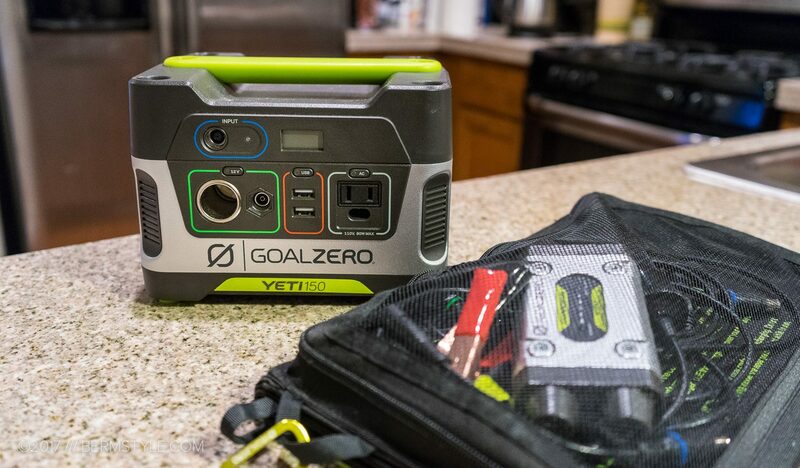 The Goal Zero Yeti 150 Portable Power Station. 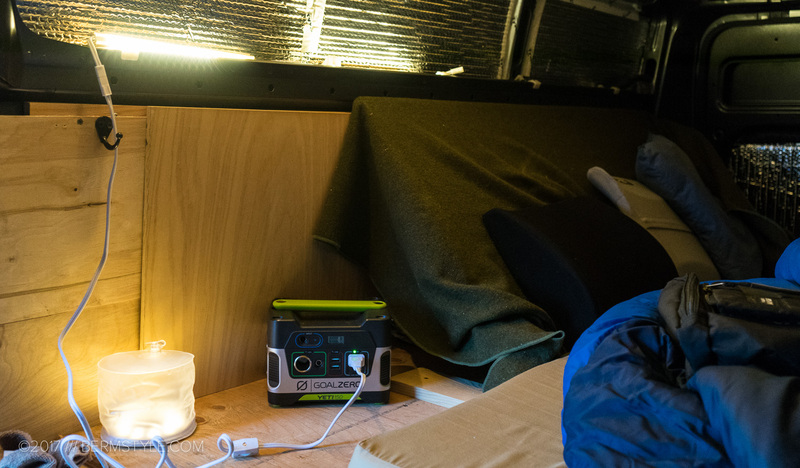 The Goal Zero Yeti 150 Portable Power Station is a plug and play source of electricity designed to keep lights, phones and laptops going through any situation. At $199, its the base model in a collection of 7 power options that range from $199 to $3,000. 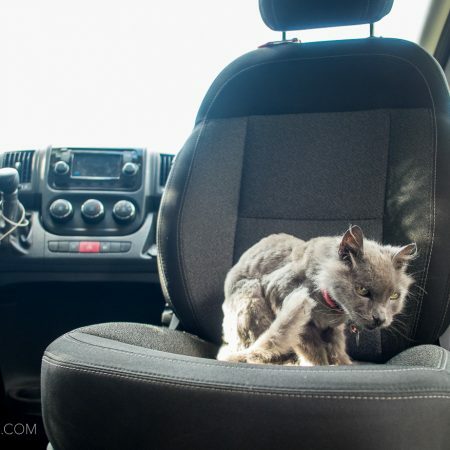 Interested in a budget plug and play solution for weekend vanlife adventures, we took the Yeti 150 with us for a 3 day mountain bike trip to Oakridge, Oregon to see if it was a viable solution to weekend warrior van dwelling. Resources to invest in the conversion are a bit tight at the moment, so we’ve been extremely conscious of our budget. Having electricity to power a fan, light, refrigerator and charge our devices would take it all to the next level, so a plug and play solution like the Goal Zero Power Stations is extremely appealing. Making do with a Canyon Cooler for food storage, our main needs for power are lights, charging devices and eventually powering a ceiling fan. The question: what is the least we can spend at the moment for a scalable solution? 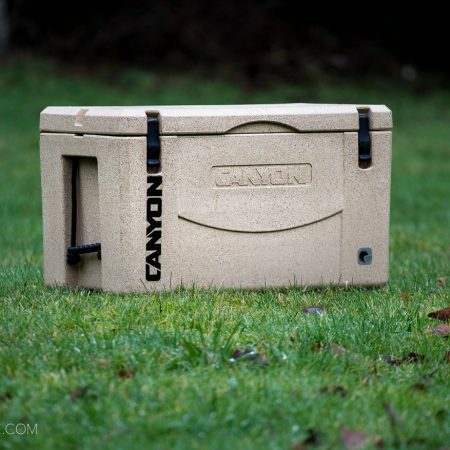 And could the Yeti 150 fill those needs? Testing the Goal Zero Yeti 150 Power Station during a weekend of #vanlife. Note: the lamp next to it is solar. Tbe Goal Zero Power Station was on loan from my friend Jonathan, who had purchased it for his bug out/ home & car emergency preparedness/ camping kit, along with a Nomad 7 solar panel and a variety of accessories. Out of the box the Yeti 150 includes a wall charger and a 4.7mm to 8.0 panel adapter. Our borrowed kit included a variety of accessories including a solar panel. For our test we were most interested in whether we could make it through a 3 day weekend with a minimal power draw, so topping off the charge using the outlet in the house, we hit the road with a full charge to see what the Goal Zero could do. We didn’t have a lot of expectations for the Yeti 150 for use in the van, primarily using it to power two LED lights we daisy chained. We turned on the lights in the morning while making coffee and breakfast, while changing after rides, while making dinner and when we were hanging out in the van. I also charged my phone once. We also made an effort to charge phones from the van as much as possible when the vehicle was running. I didn’t use the solar panel to top off the battery during the weekend, as I wouldn’t be purchasing one right away and we wanted to test the battery capacity. Conclusion? The LED draw was light enough that we made it through a 3 day weekend with a bar of power left on the Yeti. That said, it isn’t quite enough power for our needs. I don’t want to be worried about keeping power in the base station; I may as well go back to battery powered lighting than spend the $200 for the Goal Zero Power Station, as the Yeti 150 isn’t quite up to the task. We giving the Yeti 150 a solid “pass.” It might be fine for emergency situations but as a budget solution, it leans too far towards the “budget” and isn’t versatile enough for our requirements. 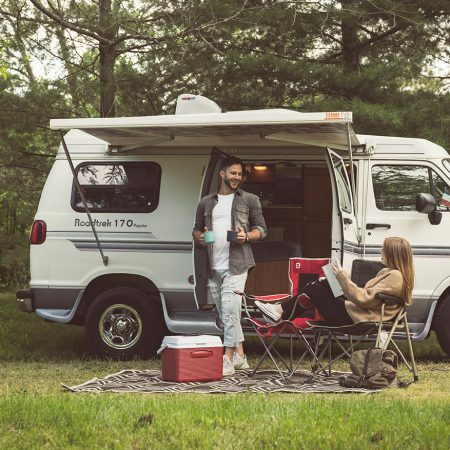 Looking at Goal Zero’s YouTube Channels, the Yeti 1250 ($1499) is the model used by van dwellers as it can support powering a mini fridge; at that price point you’re paying for the portability and versatility, as a permanent solution isn’t that much more.